Wow, where has the season gone? 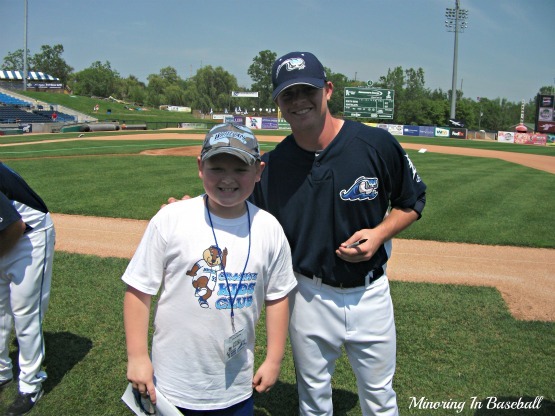 The West Michigan Whitecaps ended the first half of the 2012 season playing some very good baseball, though. They went 15-5 in the last twenty games, to end up with a winning record of 36-34. They came up just short of landing the wildcard spot for the Midwest League‘s West Division, as they were beat out by the Bowling Green Hot Rods. 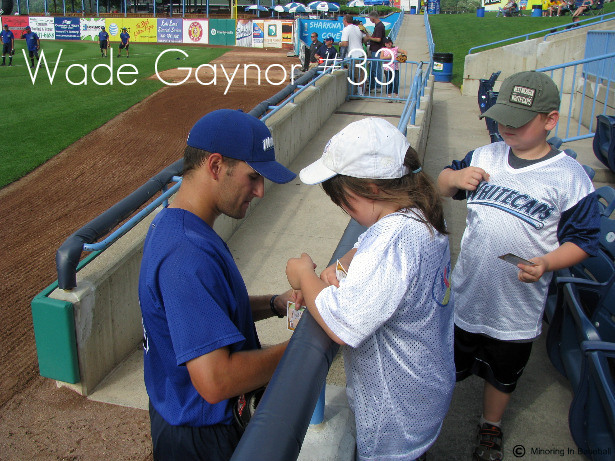 The ‘Caps did beat BG in Kentucky two out of three games, and did the same thing to South Bend, including a 14 inning win on the last day. No team was going to catch Lansing, who went 47-22 in the first half. West Michigan’s recent play, though, has fans optimistic that they can capture a play-off spot in the second half. The team also tied a record of hitting a home run in eight consecutive games, first set by the 2004 team. 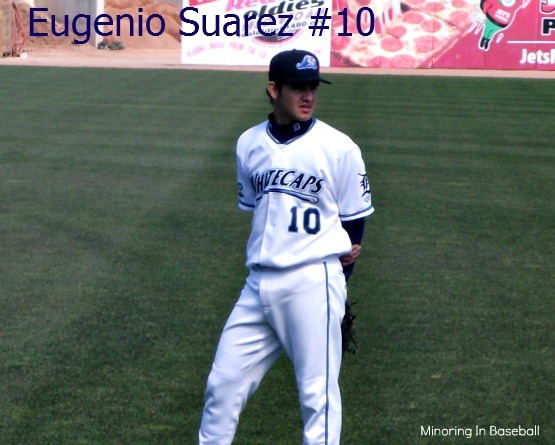 They were led offensively by Eugenio Suarez, who hit a team high .311 in the first half. Dean Green and Steven Moya tied for the team lead in homers with nine, and Moya led the ‘Caps with 43 RBI’s. The team leaders on the mound were Wilsen Palacious with seven wins, Marcelo Carreno with 58 strike-outs, and Daniel Bennett with nine saves. The Whitecaps return to action on June 22 to start the second half of the season after the All-Star break. 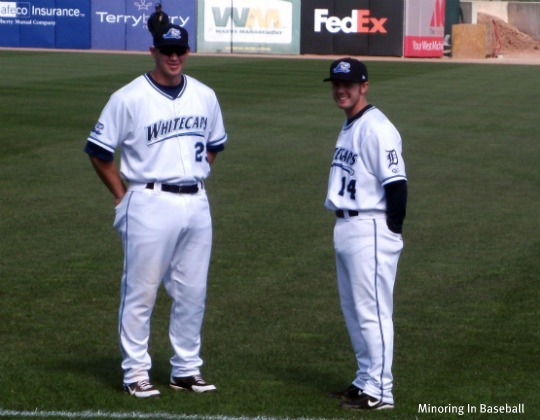 The West Michigan Whitecaps evened their record to 16-16 with the split of a four game series against the Lugnuts in Lansing. The Lugnuts, who are currently the best team in the Midwest League, won the first two games of the series by the scores of 2-0 and 4-3. 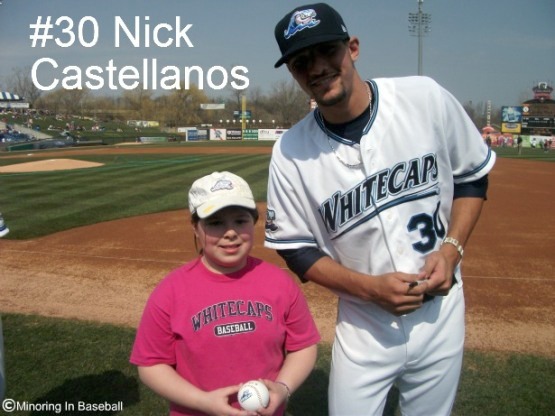 The Whitecaps fought back to win the next two contests. 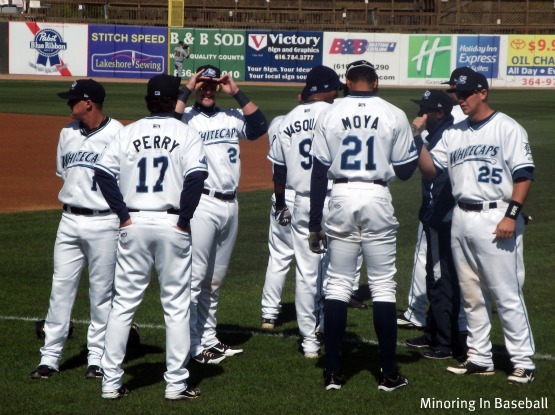 On Monday, the two teams were tied 1-1 from the second inning on, until West Michigan rallied for four runs in the eight inning. Brandon Loy and Eugenio Suarez each singled, and Dean Green reached first on a bobbled bunt to load the bases. They scored one run on a fielder’s choice, and Suarez then scored on a wild pitch. 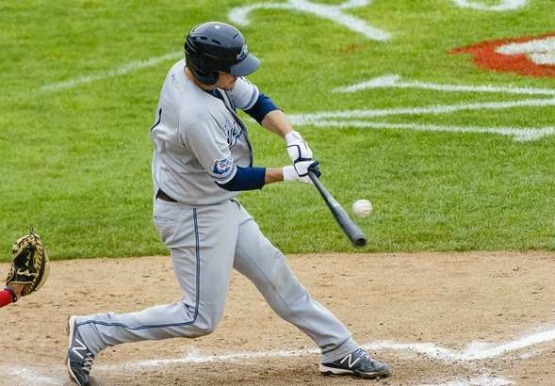 Curt Casali hit a single that scored two runs, to give West Michigan the 5-1 victory. The winning pitcher was Wilsen Palacios, who improved his record to 2-2. He struck out five batters and did not issue a base on balls. 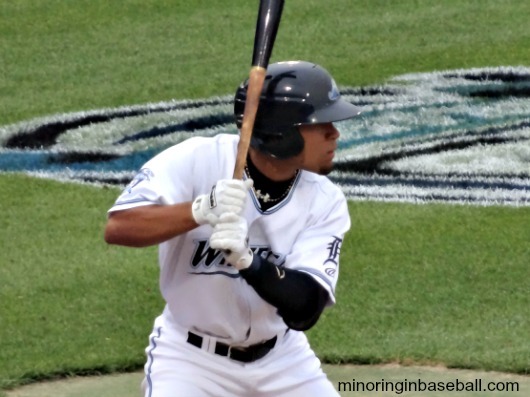 Tuesday’s morning game was an offensive battle, as the Whitecaps knocked a season high 15 hits, on their way to the 7-6 win. 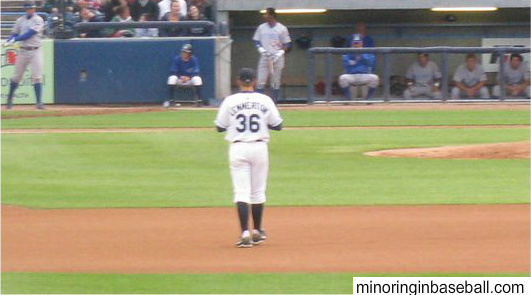 Patrick Leyland went 3-5, and hit a single in the ninth inning to put the Whitecaps in the lead. Casali also had three hits, while Suarez went 2-4 with three RBI’s. Green hit an RBI single in the seventh inning, tying the game at 5. On the mound, Michael Torrealba was the winner, retiring two batters in the ninth. Dan Bennett struggled, but was able to earn the save for West Michigan. 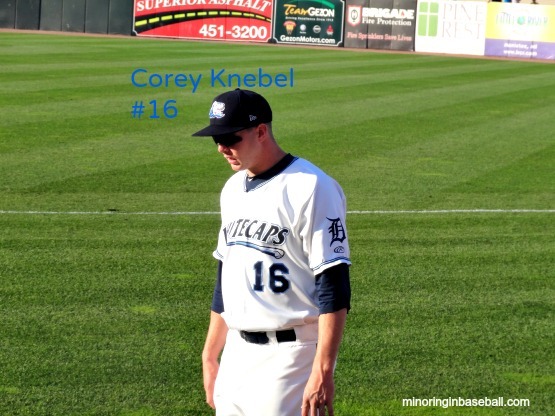 The team returns home for a series with their other in-state rival, the Great Lakes Loons.